Aiseesoft, a top-ranking provider of Windows/Mac multimedia applications, iPad/iPhone/iPod assistant software, system utilities, and PDF software, announces the upgrade of its PDF Converter Ultimate. 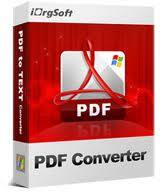 This new professional PDF Converter has a brand new PDF converting kernel and OCR technology. It can help users convert PDF files to other image or document files with outstanding output quality. Aiseesoft's PDF Converter Ultimate is one of the best PDF converting software products, which can assist users in converting most popular PDF files to output files including images (JPEG, PNG, GIF, BMP, TGA, PPM, JPEG 2000) and documents (TIFF, Text, Microsoft Word 2007, Microsoft Word 97-2003, Rich Text Format, Microsoft Excel 2007, Microsoft Excel 97-2003, Microsoft PowerPoint 2007, EPUB, HTML). Moreover, this PDF Converter is equipped with OCR technology, which can convert image-based scanned PDF files to text-based files. To find a balance between converting speed and converting accuracy, this software offers three converting modes – Accuracy, Balanced and Speed. To improve the accuracy of the output document, users need to select the output language as consistent as possible with the original file in the Preference window. The selected languages are used for recognition in OCR. Also this PDF software allows users to choose the PDF page(s) to be converted. While previewing the source PDF file, customers can convert the current PDF page. Also users can choose to convert the whole PDF or specified PDF pages. To get a customized output file, PDF Converter Ultimate offers users numerous output settings. For outputting image format, users can set output size, color and other special options for JPEG, GIF or TIFF output format; for outputting document formats, the output file layout, text encoding, and image effect are adjustable. Aiseesoft's PDF Converter Ultimate, the most professional PDF converting software, is able to convert PDF files to popular images and documents with the best output quality.